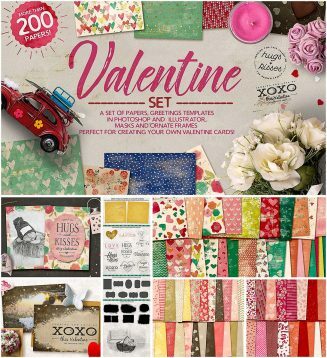 Set of 100+ Valentine’s day papers, greetings templates, ornate frames and masks. 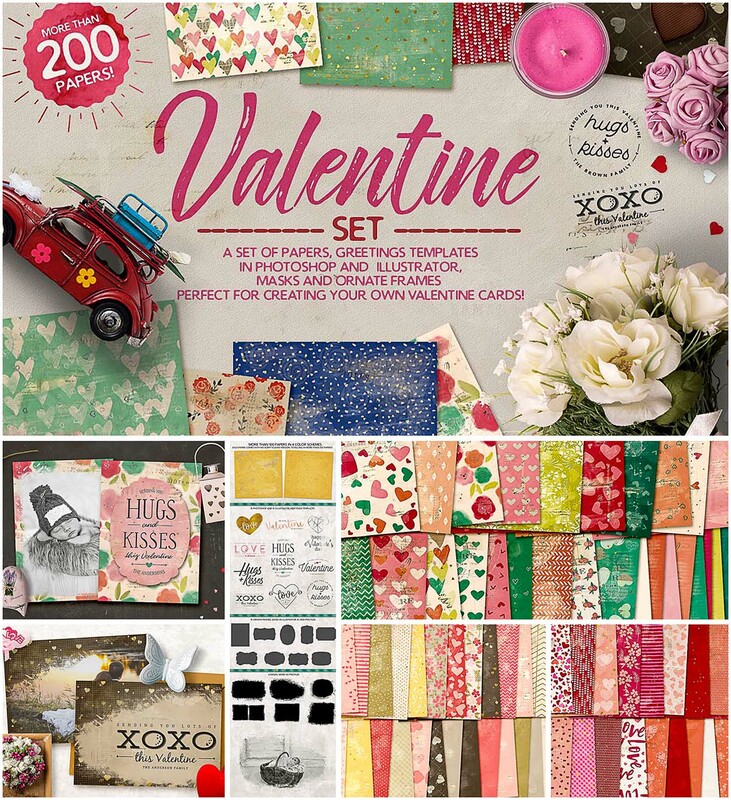 Perfect for creating your own Valentine cards, or any other Valentine projects! For personal use. File format: .psd, .png, .jpg, .ai for Photoshop or other software. Tags: digital paper, foil, love card, mask, ornate, pattern, St.Valentine's day.